Congratulations to "Shelly P.", the winner in Kallie's giveaway. Thank you to all who participated! News headlines are sometimes less believable and harder to comprehend than book plots. One day of scanning the top stories and I'm convinced. The conviction of a beautiful, successful woman, who murdered her fiancée by shooting then stabbing him multiple times, shocked me. She seemed so certain she'd walk on the charges although she'd captured the murder on film (she's a photographer). Three women held against their will for ten years. Police weren't able to find them, although they'd been called to the address where the women were held on two occasions, the location close to where the women were abducted. Yet, the police never entered the house when no one answered the door. And a young husband and father who left his home to take prospective buyers for a test-drive of his vehicle over a week ago, and is still missing. There is one perpetrator in custody, but no new leads. Such heartbreaking events are truly stranger than fiction. I prefer to create chilling plots myself, where no one gets hurt but the villains, and heroines and heroes always triumph! Billie has a choice to make. She can risk violent death, or allow the man she considers her worst nightmare--the man she's already loved and lost, the man who fell off the grid a long time ago, taking her heart along for the ride--to keep her safe. What could be worse? Maybe the fact he's unknowingly brought death to her door. When undercover cop Natasha Roberts sets out on her own to find her missing brother, the trail leads to a biker bar where one false move will get her killed. Skip McQuade doesn't like her chances for survival, and forces her to trust him. Together they continue the search while fighting the passion between them. Will they find her brother and stop a killer in time? Giveaway—Thank you so much to Just Romantic Suspense for having me here today. I will be giving away a digital copy of both Reckless Abandon and Silent Deceit to one commenter. Giveaway ends 11:59pm EST May 17th. Please supply your email in the post. You may use spaces or full text for security. (ex. jsmith at gmail dot com) If you do not wish to supply your email, or have trouble posting, please email maureen@justromanticsuspense.com with a subject title of JRS GIVEAWAY to be entered in the current giveaway. Hi Debra, thanks for stopping by. Good luck on the draw! The news is sooo depressing. I enjoy the 'comfort' of reading, although if it is well written suspense, not much comfort to be had until the end (!) and knowing that the villains get their just desserts. I know, I hate the news! For me, it's one of the perks of writing that I can write my own endings, where the heroine and hero make out much better than the bad guys! Thanks Willa! Congrats on your releases! I have not had the pleasure of reading your work, but look forward to adding them to my list. Thank you so much for sharing with us all today! Hi Colleen! Thanks so much for your comment! 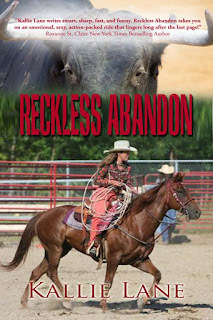 Do you have a release date for Reckless Abandon? I've been checking BN but nothing yet. Loved the first two Shadow Soldier stories and after reading Silent Deceit, I can't wait to read more Black Force Renegades stories! Hi Mary! I'm so glad you're enjoying my books, thank you! Reckless Abandon actually released on May 3rd, but you're right, B&N doesn't have it up there yet. Some sites take a little longer than others...it should be there soon. Take care! Thank you! If you love steamy romance and adventure, I think you'll really enjoy them. Thanks for stopping by! I live in the community where the young husband with the truck lived. He was abducted and murdered and while this was devastating, there is some comfort in the way the everyone came together to help look for him, and provide tips to the police. There is always bad news but it helps to know the good is there as well. It must be why I love the HEA! I agree with you about the good, Shelley. I watched the press conference yesterday when his wife thanked the community for everything they had done to help. And again realized how happily ever afters are so important when reality is far from kind. Thank you for your comment, and prayers to his wife and child. Thanks so much Kallie! I look forward to reading your books. Thanks again for the freebies!!! Congrats to Kallie on the new release! Thanks for the fun post! Thanks so much, Erin. Good luck in the draw! My family lives not too far from where Tim Bosma was abducted, and one of my siblings went to school 'round there-- it's surreal! But it's heartwarming to see just how people come together in these times of adversity. Looking forward to reading your books once I'm free of this thesis! I guess good can come from evil. When I read what kind of man Mr. Bosma was, I couldn't help thinking he was a hero in so many ways, and his wife a true heroine to put her heartbreak aside and rally for the sake of her young child and those around her. My prayers are with them. The best of luck with your thesis, Cris! The headlines do shock, but I do believe there are way more good people in the world then bad. You have been very busy writing with two new releases. Both books look fabulous. Thanks, Mary, and I hope you have a chance to indulge in a little fiction to lighten your day! And I write romantic suspense for the happily ever afters and thrills along the way too! Thanks for your comment, Trish, and good luck in the draw! Have read your first two novels, couldn't put them down, excellent read. Have purchased your third novel and can't wait to start it. The books grab your attention to the end. I have found a new author. I'm the lucky one, June, because I've found a new fan! Thank you! I have to say, I am jaded enough that the tragic headlines don't surprise me. The stupid ones, on the other hand...like "man posts pic of self stealing diamond necklace to facebook." And it's shocking how often it happens. Sad but true. Have you checked out the Darwin Awards? Always good for a chuckle! Thanks for commenting, Laura! I am looking forward to reading your books. I like the sound of the adventures with romance mixed in. Thanks Jo-Anne, and thanks for stopping by! Love your books, Kallie! Super excited about both of these!